We have taken four of our most popular styles and designed them with value in mind. They are made with the same quality materials and craftsmanship as our standard models, but have only the essential features. 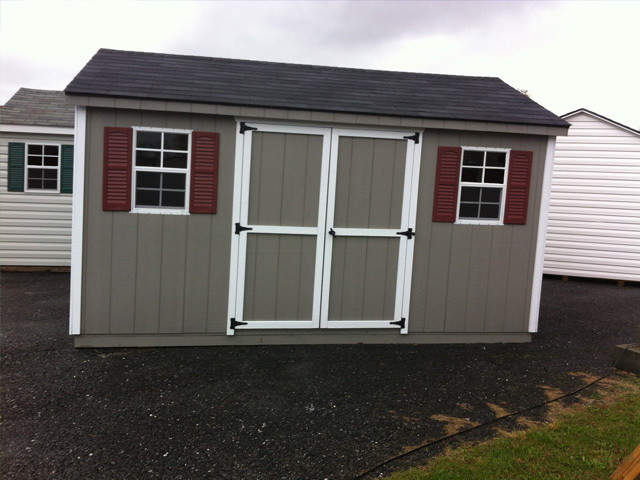 We include 2x4 framing, two gable vents, a single or double door, and locking door handles. 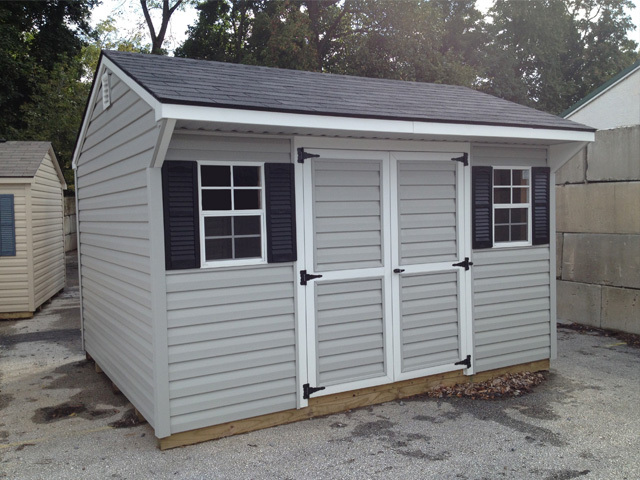 As an added bonus, we also back all of our basic sheds with our 2 year workmanship warranty. 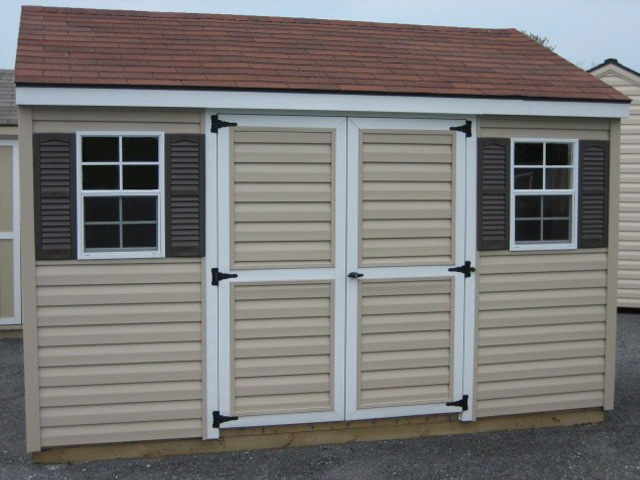 All basic sheds are available in painted premium T-111 siding or maintenance free vinyl with sizes ranging from 4x4 to 10x16. This style provides the most square footage for your dollar. It has been popular with our customers both for its simplistic style and low cost. 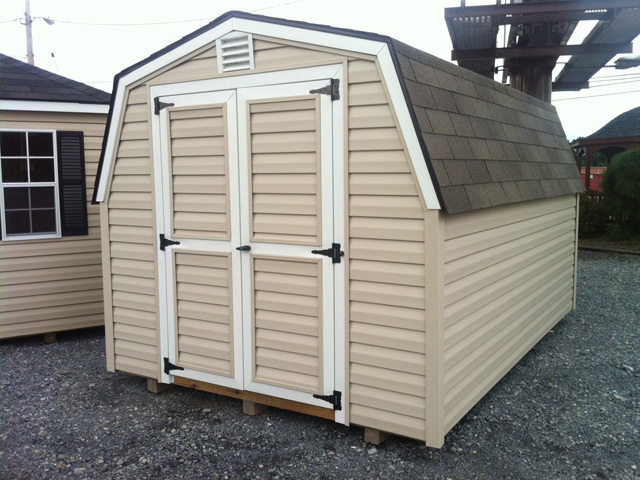 It features 4’ sidewalls but the gambrel roof design still allows for full height storage throughout. An optional window can be added for light and additional ventilation in the rear of the building. The most popular choice among our basic line, the A-Frame design is versatile enough to go with any style of home. The A-Frame works well for a workshop or other application where a 6’ wall height is needed throughout the building. The biggest advantage of the A-Frame design is the flexibility of window and door placement on any wall of the building. All A-Frames include at least one window**. The style with the most visual appeal, the Carriage provides the same benefits of the A-frame but also includes an attractive and functional overhang. The overhang offers protection for the doors as well as additional storage that can be accessed from inside. All Carriage models include at least one window**. The newest model in our basic line up, this style has had increasing popularity since its introduction. 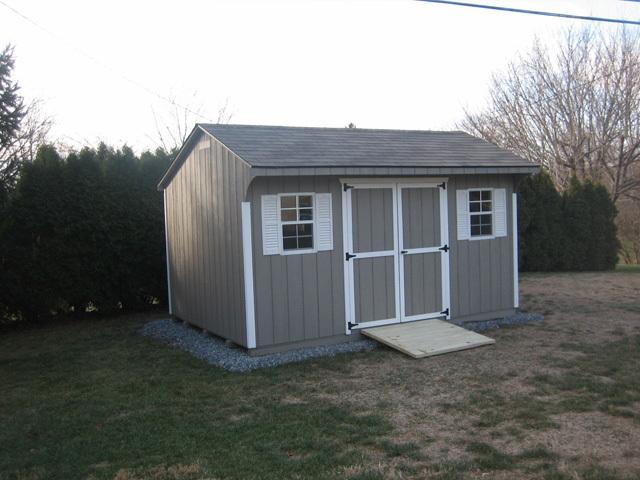 The building features a single pitched roof, which allows for it to be placed against another building or fence. 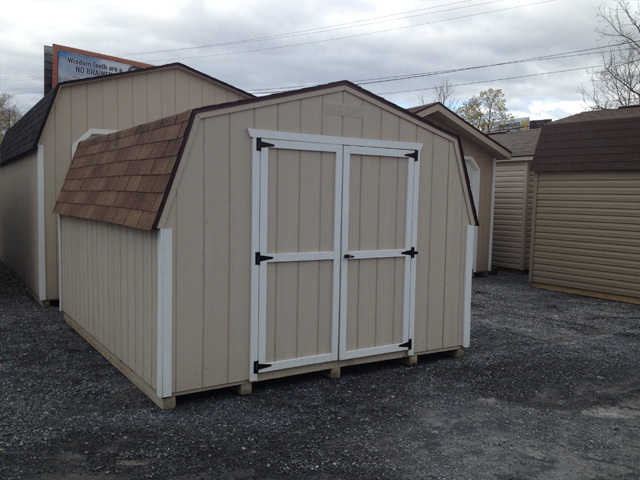 It has enabled many of our customers with either municipal constraints or yard limitations, to still fulfill their storage needs. All Lean-to buildings include at least one window**. 2x4 Wall & Ceiling Framing, 24”o.c. Pressure Treated 2x4 Floor Joists, 16"o.c.